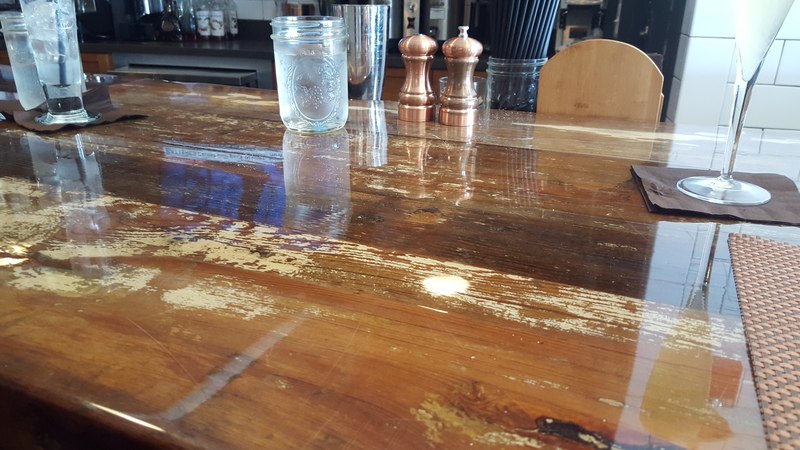 The Jarmak Corporation offers our premium reclaimed wood table, counter, and bar-top material in a variety of thicknesses and widths to suit all your building needs. 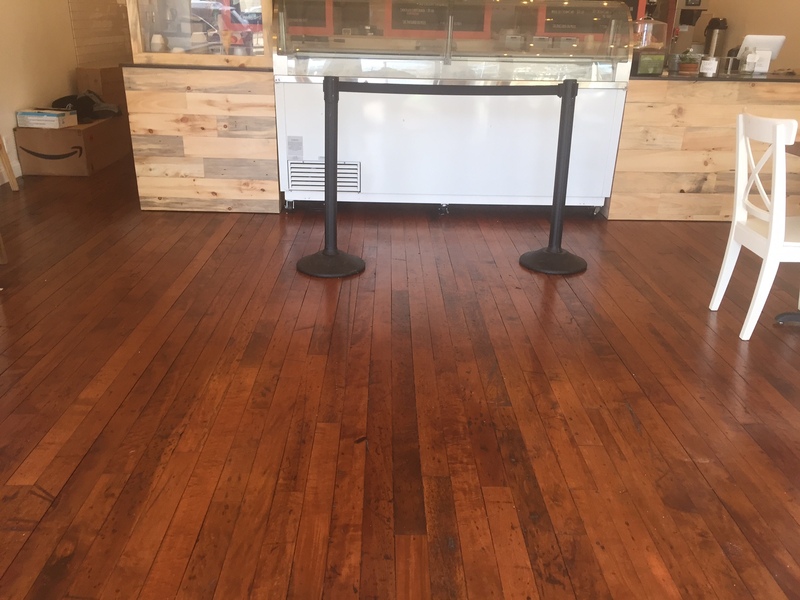 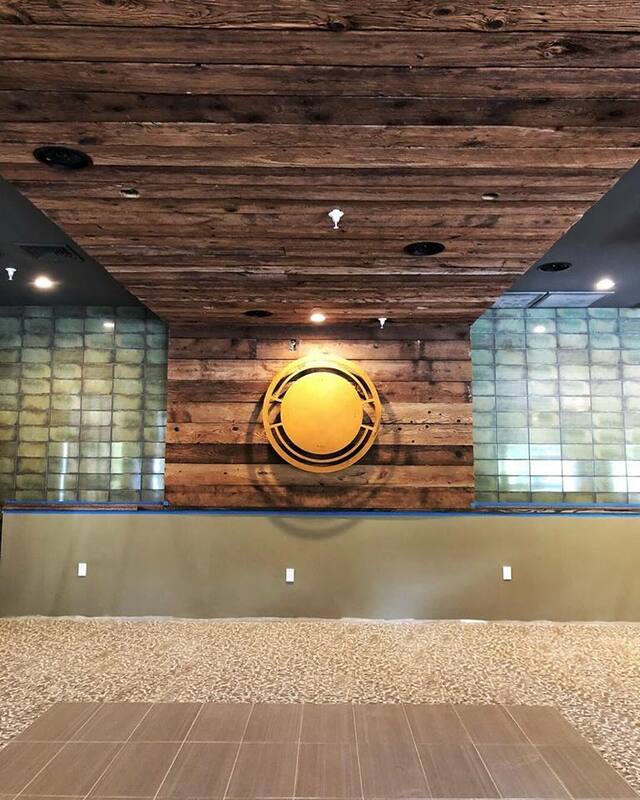 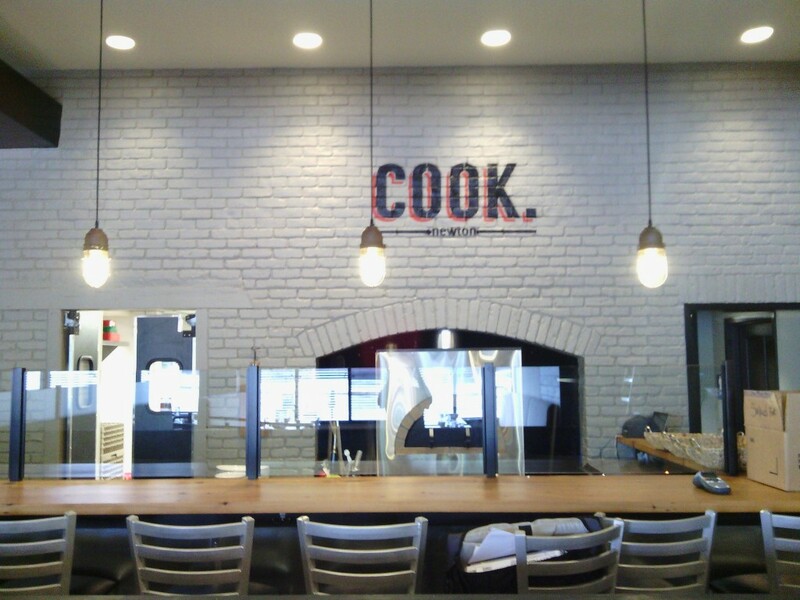 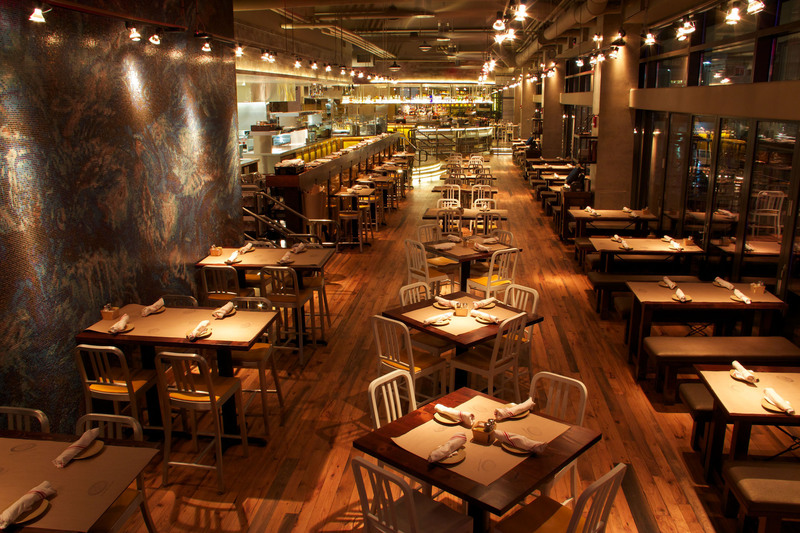 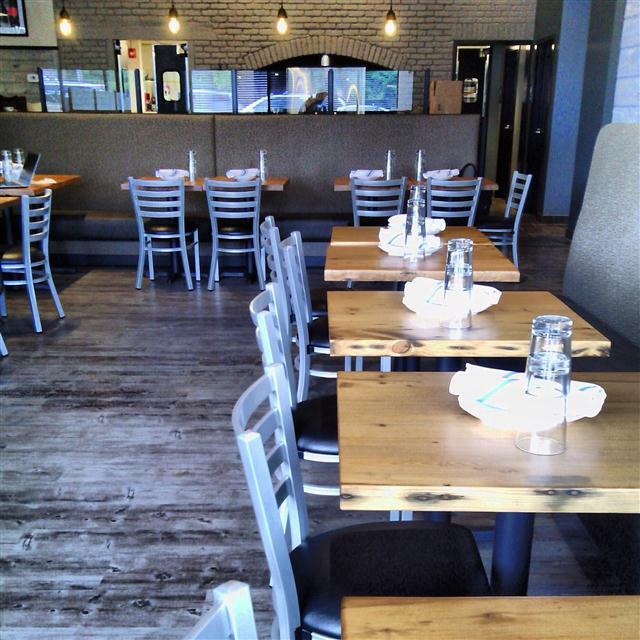 We have supplied several area restaurants with custom made pieces, so if you’re stumped trying to find the best reclaimed wood for your next kitchen remodel or restaurant opening, contact us today! 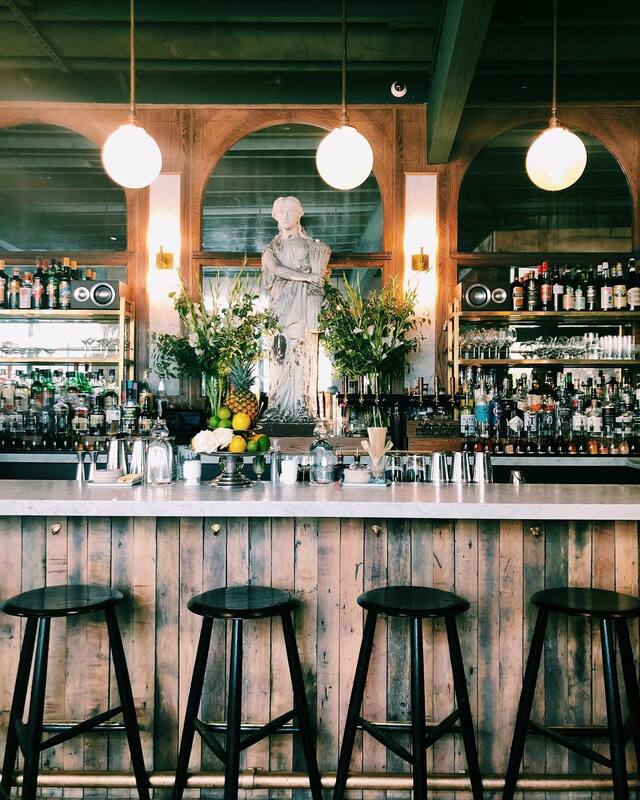 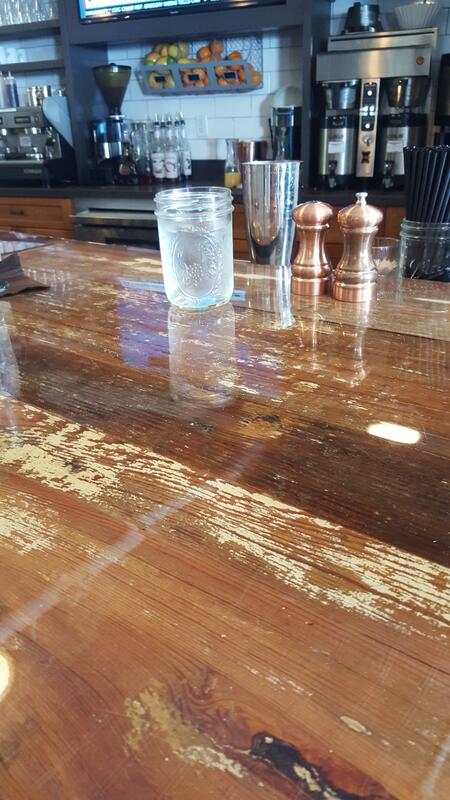 Antique hemlock was used in this restaurant to create the custom bar tops and table tops. 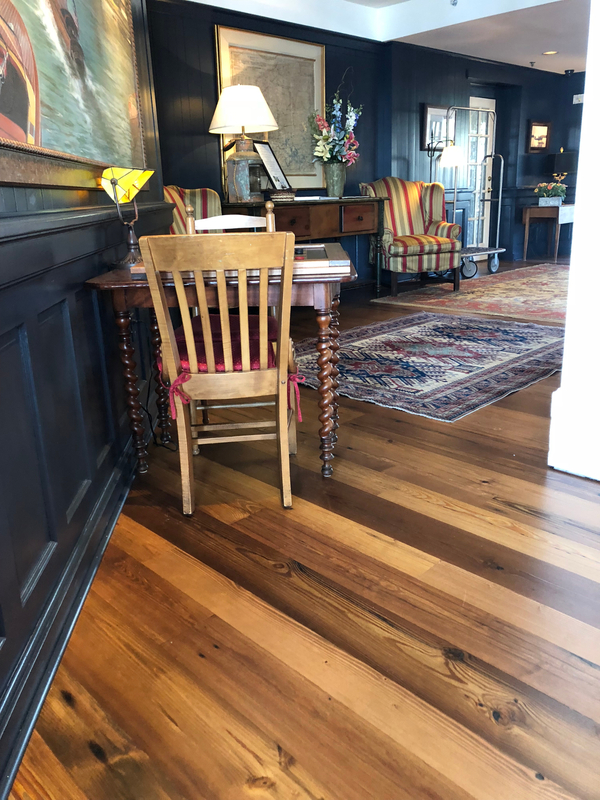 Premium quality No.2 and better antique heart pine timbers, floor joists, and decking salvaged from a historic buildings throughout the Northeast. 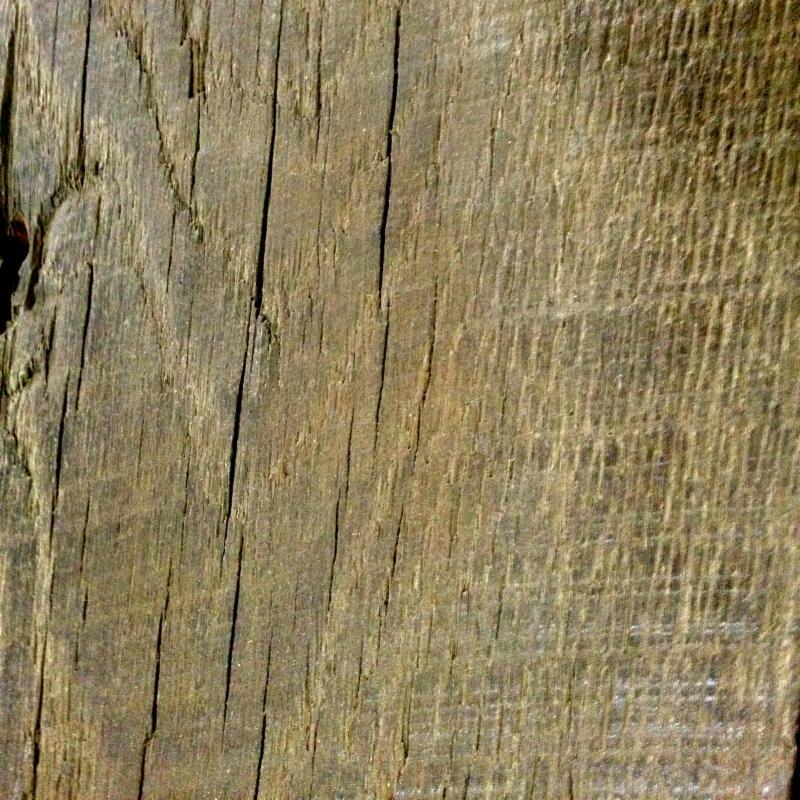 Material will have imperfections typically associated with reclaimed wood such as checks, wains, splits, nail holes, etc. 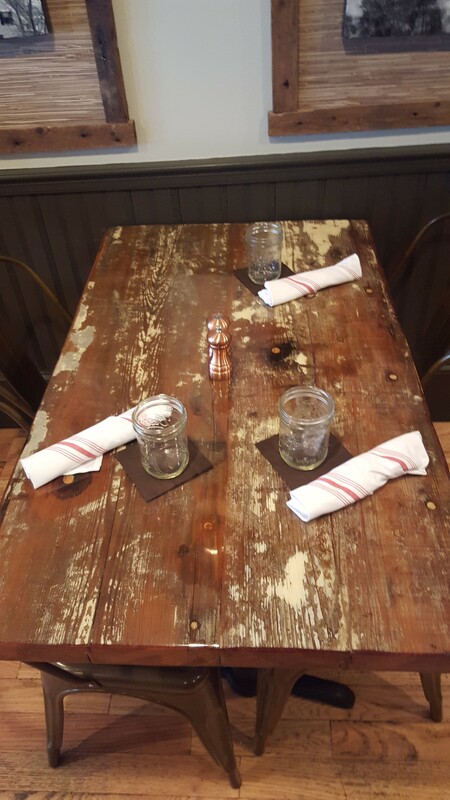 Here, a restaurant chose this beautiful painted heart pine for their table and bar tops. 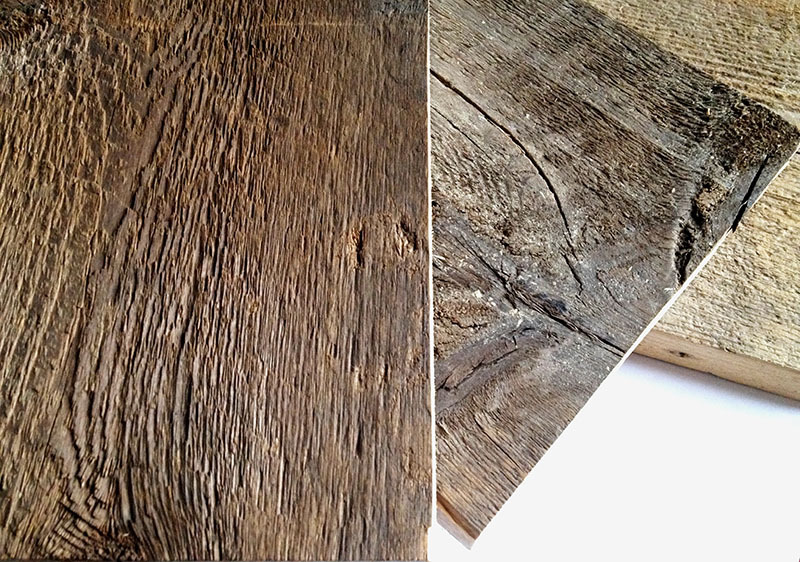 We can make several species into beautiful wall cladding to create that rustic look. 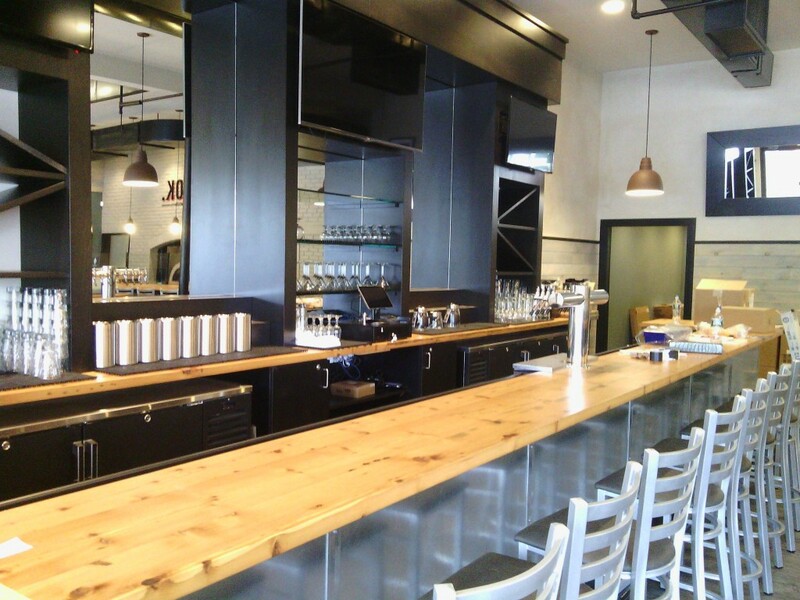 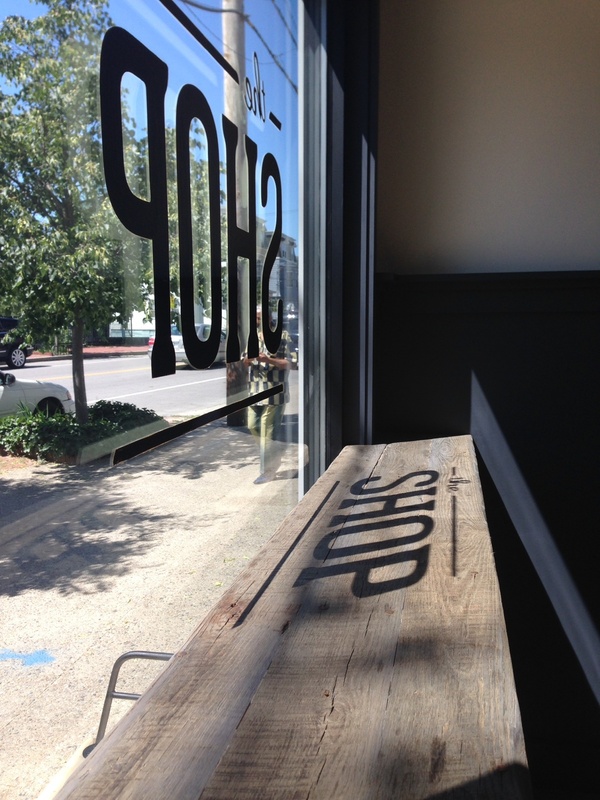 Shown here is reclaimed oak, but we offer heart pine and maple as well. 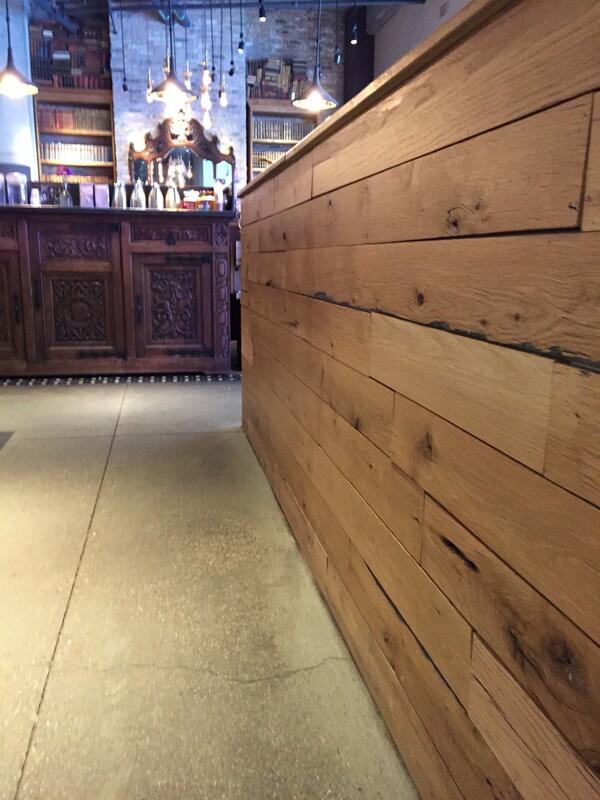 We have thousands of feet of vintage 2″ thick, reclaimed barn oak in varying widths from 4″-10″ to suit any and all building applications. 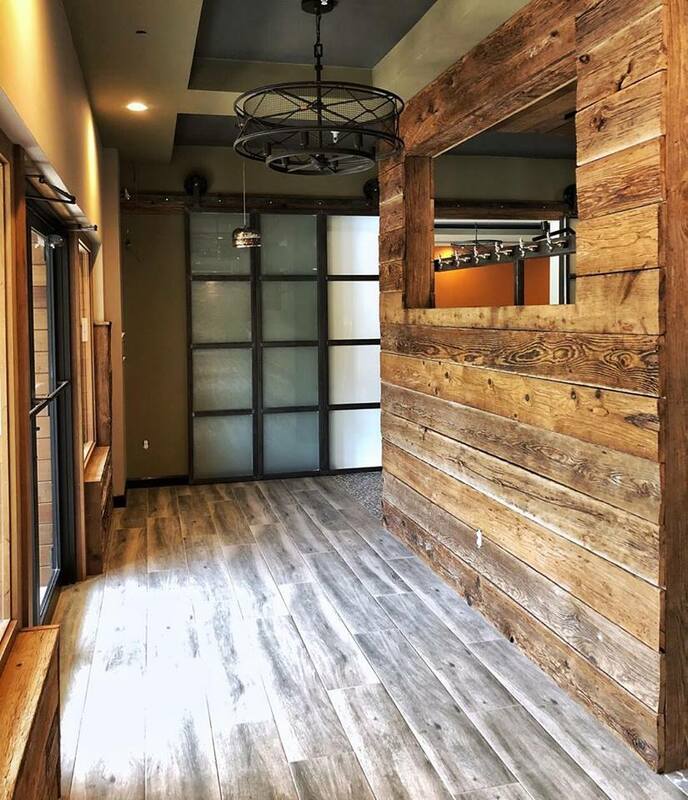 Unlike many of our competitors, we offer our all of our premium quality wood in the form that suits your needs, from raw reclaimed stock, to re-sawn dimensional kiln-dried lumber, and premium finished surfaces. 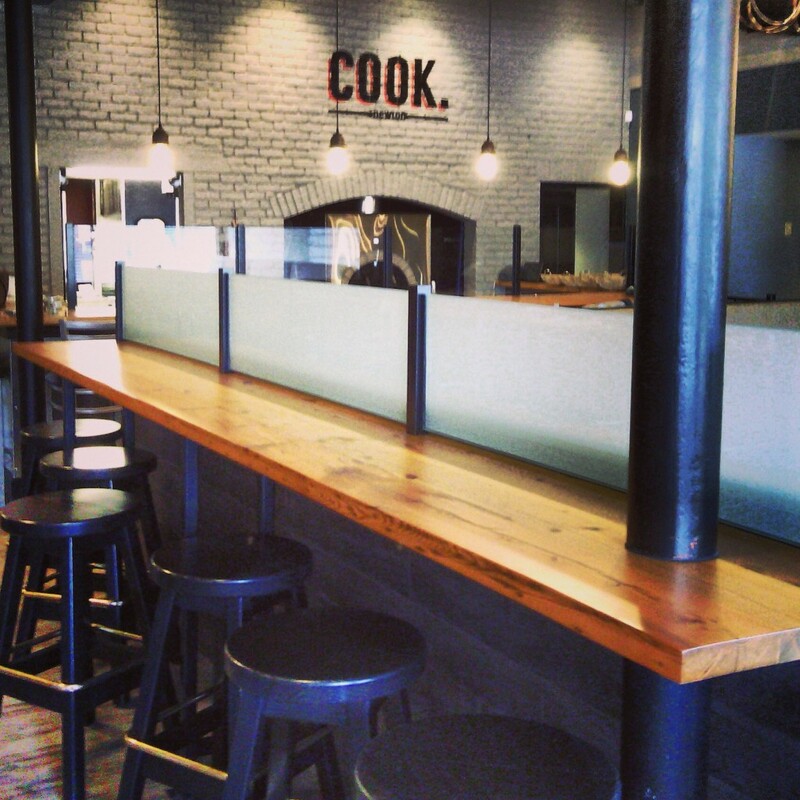 We’re proud to offer the finest reclaimed Native Spruce recovered from aging industrial buildings in New England. 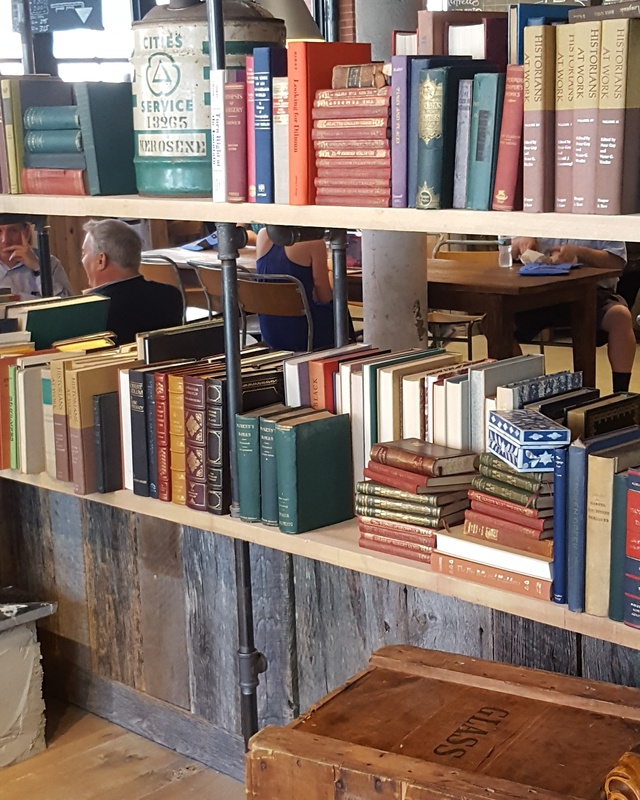 We have saved thousands of feet of these original antique face 3×8, 3×10, and 3×12 timbers that have spent the last 125 years of their life as structural joists: overseeing the rise and fall of America’s industrial era in the New England areas.